50 Books: Adventures of Huckleberry Finn - Combat! I didn’t read Adventures of Huckleberry Finn until I was 22 years old. I tested out of the freshman English class that would have assigned it to me in high school, thereby embarking on a career of being too smart to actually learn anything. I’m kind of glad I first encountered this novel as an adult, though, because I’m not sure 15-year-old me would have appreciated its charms. It’s about a kid, but it addresses a fundamentally adult theme: the way ignorance feels like knowing everything for certain, and actual wisdom feels like doubt. Huck Finn is wise about only one thing, and it plants a seed of doubt in him that germinates over the course of the novel. He wants to help Jim get free. Every moral authority he knows has convinced him this desire is wrong, and he wrestles with it clear down the river. He tells himself that he should report Jim to Miss Watson or turn him in at the nearest town; he upbraids himself as an abolitionist and searches his character for some germ of decency good enough to betray his friend. When he gets to Arkansas and still can’t find it, he casts off the project of goodness entirely. “All right, then,” he thinks, “I’ll go to hell.” The reader cheers, because we know that Huck is actually doing the right thing. The whole effect of this novel turns on understanding what he does not. This joke is perfect. Huck dismisses Jim’s claim on the certainty that he is not an idiot, even as he tells us that he routinely hassles bees. The certainty of idiots is the wellspring of humor in Huckleberry Finn, whether it’s the Duke’s self-taught impersonation of quality or Tom’s convictions about how a prisoner must be freed. Jim is the only character wise enough to think of himself as ignorant. The rest, from the robbers on the steamboat to Tom’s relatives down south, are proud and suffer the comedy to which pride invariably descends. The novel is essentially a series of sketches on this theme. What elevates it to the level of art—above Twain’s many other humorous sketches and even his novel-length works—is that it centers on the deadly-serious topic of slavery. In the same way the nation’s was a decade before the novel was written, Huck’s soul is at stake. Fortunately, he has staked it on the one thing he isn’t wrong about. It’s a good thing Twain has this inexhaustible source of tension to hold the novel together, because the plot is a wreck. It’s a picaresque, basically, but the Duke and Dauphin characters metastasize into the whole second act. Just as they become the most important antagonists in the novel, though, we leave them behind. 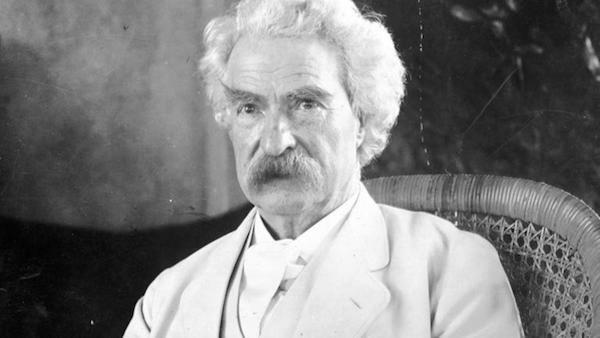 By that point the reader is not sad to see them go—and neither is Twain, it seems—but their departure signals the beginning of the novel’s infamously bad ending. I don’t want to spoil it for you, but it turns on the sudden (improbable) appearance of Tom Sawyer, who insists on a harebrained scheme whose very premise is that it is unnecessary. Twain is a master, and he makes it work as well as it can, but the sense of anticlimax is overwhelming. Huck’s struggle with his conscience has been real, and so has his relationship with Jim.1 Once these emotional stakes are established, they make Tom’s hijinks feel like a waste of time. Huckleberry Finn might be my favorite novel. I would even go so far as to argue it is the best American novel of the 19th century, since that is a deceptively soft field. But the bad ending raises unsettling questions about the comic novel as a form. Twain is surely among the funniest to ever do it, and his skill at the sentence level is particular and underrated. Yet even he had to resort to picaresque, which is not a plot so much as a structure, and he still couldn’t stick the landing. If Huckleberry Finn is one of the best comic novels of all time, we may be forced to concede that such novels do not operate on plot. That’s a troubling possibility for those of us who believe the best comedy comes from characters and events. If there are reliable comic plots beyond the farce and picaresque, they have yet to be established. 50 Books in 2018 is a recurring feature, and boy, are we running behind schedule. Work money blah blah. In order that we might not read 20 books in December, we’re going with something quick next: Live and Let Die by Ian Fleming. Join us! 2.Huck is not stung by bees. 3.Therefore Huck may be an idiot. Huck would not make his statement without understanding his lack of stings suggests he may be an idiot. * Yet you write, “Huck dismisses Jim’s claim on the certainty that he is not an idiot.” Is there something else in the scene that contradicts Huck’s admission of idiocy? Or am I missing something in the quotes? *If Huck is stung, and thinks himself not an idiot, Jim is incorrect. If Huck is stung, and thinks he is an idiot, Jim is correct. Under no logic is Huck free of stings and Jim also correct except where Huck understands he’s suggesting he may be an idiot. The scene where he gaslights Jim on the raft and unexpectedly confronts his power to hurt his new friend’s feelings is one of the most affecting passages in the book, and a fantastic coming-of-age.